The vast Nullarbor Plain is the world’s largest single piece of limestone and occupies an area of about 200,000 square kilometres (77,000 sq miles). The name comes from the Latin nullus,no, and arbor, tree, although the plain is covered with bluebush and saltbush plants, hardy shrubs that are drought-resistant and salt-tolerant. 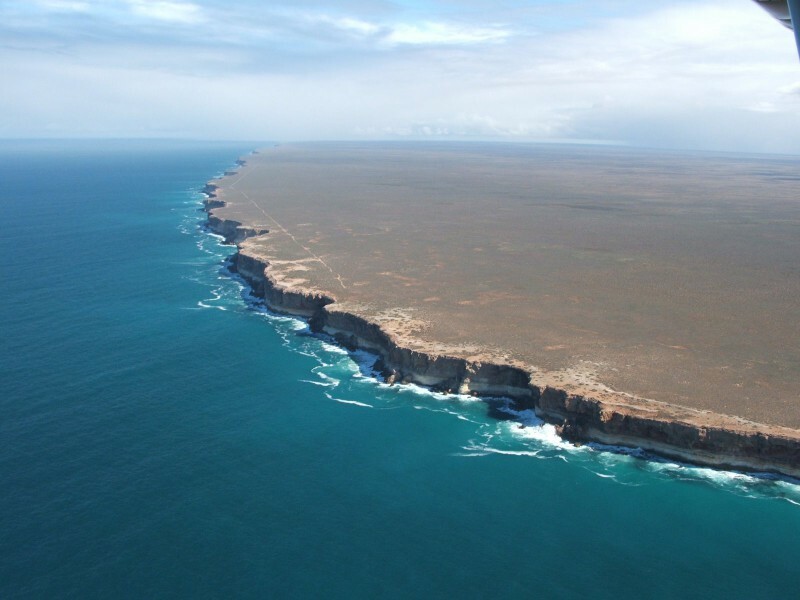 The spectacular Bunda Cliffs and the Great Australian Bight border the area to the south and the northern border is the Great Victoria Desert.